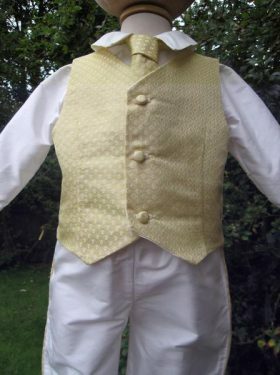 Perhaps the grandest Boys Christening Outfit that has ever been made. 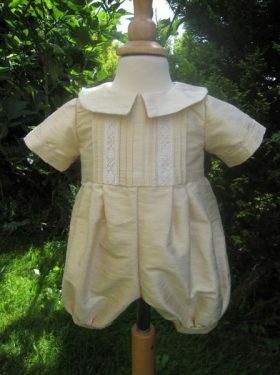 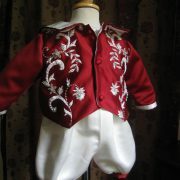 This Baptism ensemble comprises a romper, waistcoat, cap and booties and is absolutely grand and devine. 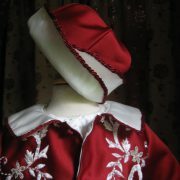 The romper has lovely applique detail on the bodice and contrasting colour on cuffs. 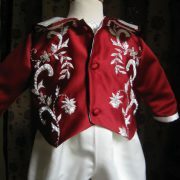 But it is the jacket that stands out! 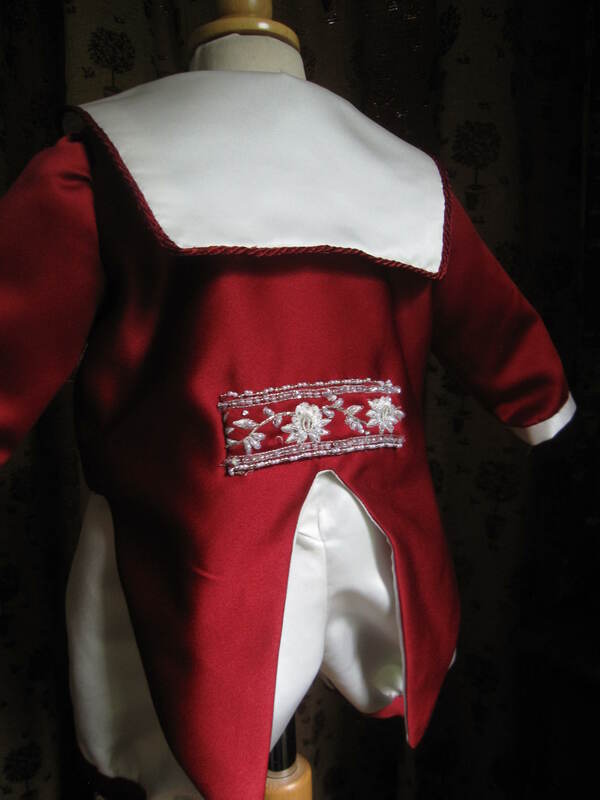 Complete with "tails" this really is something. 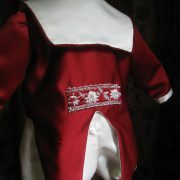 The collar featured has a delightful cord edging in contrasting trim, which goes all around the sides and back. 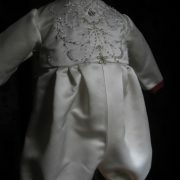 Hand made satin buttons finish the garment perfectly. 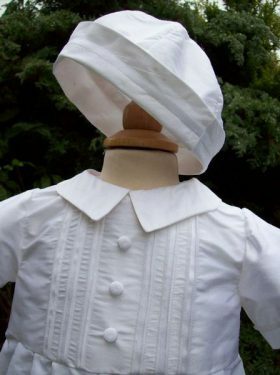 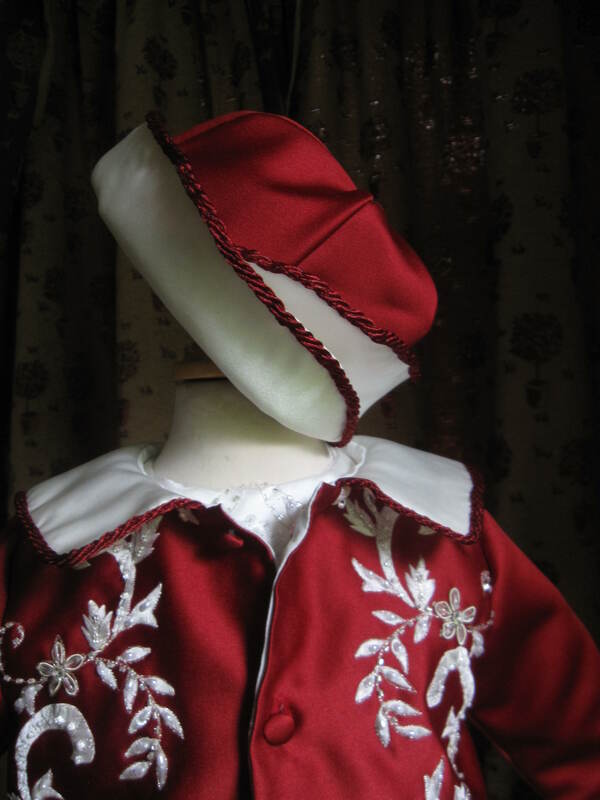 A little cap with corded trim and wrap detail sits cute upon the head. 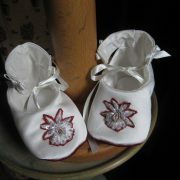 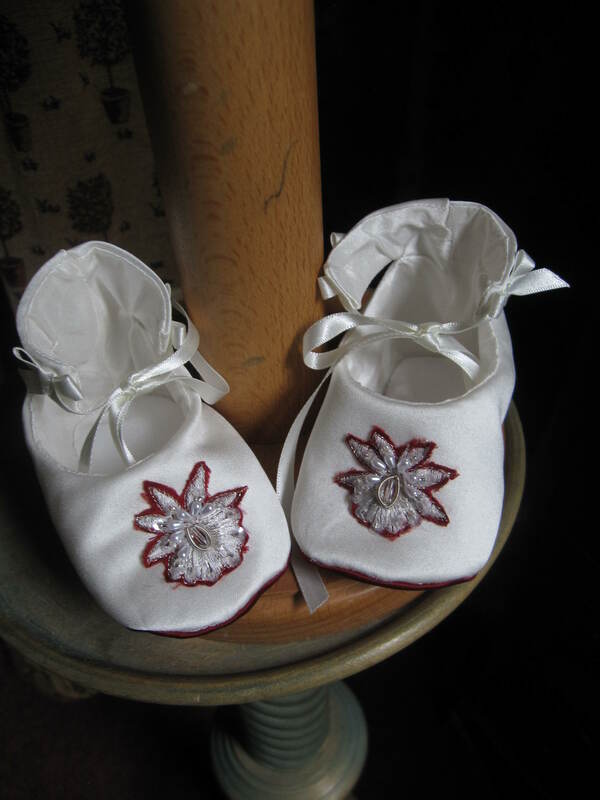 To finish the outfit we offer a pair of hand appliqued booties. 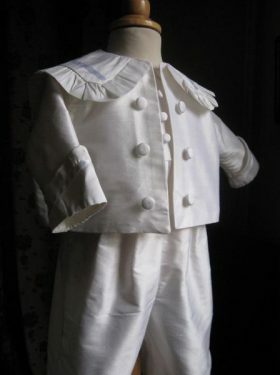 All in all a grand Baptism Outfit for a grand occasion. 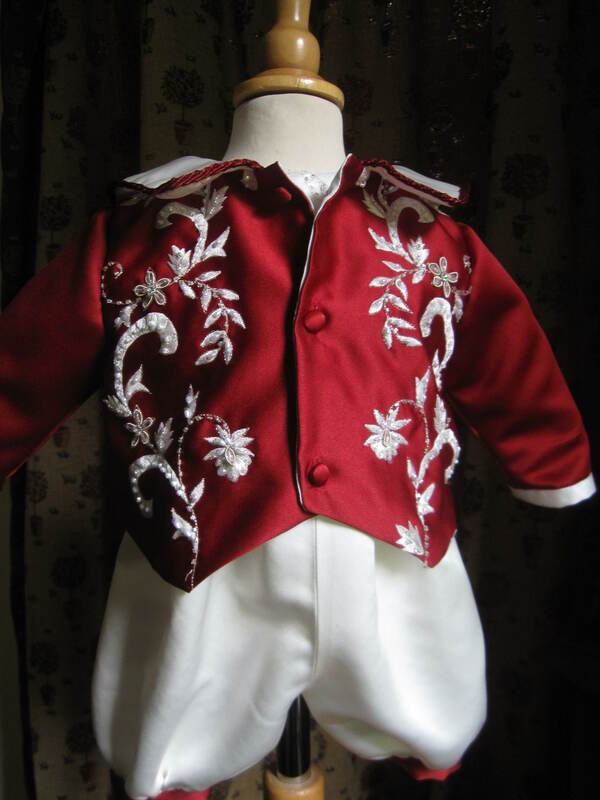 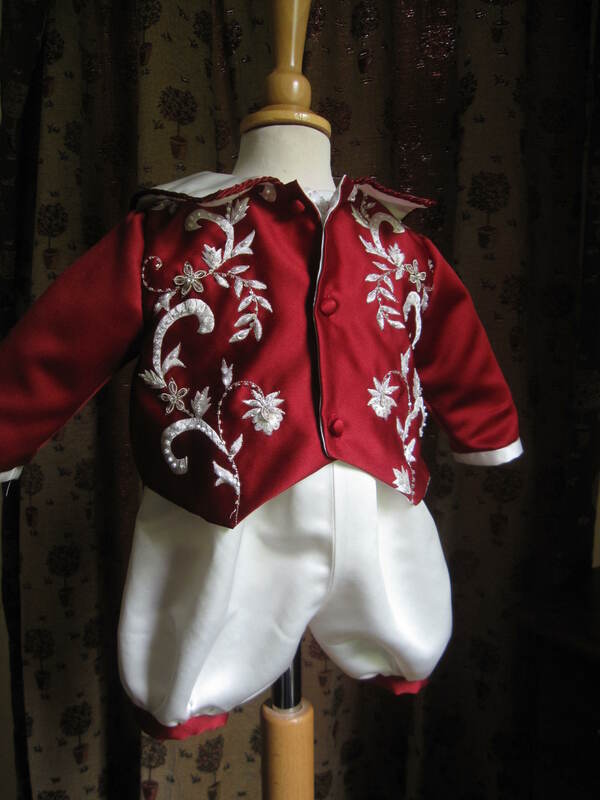 Please note we can also create the jacket in a more traditional style without the tails at the back.� Waistcoats are also available as an alternative to the jacket. 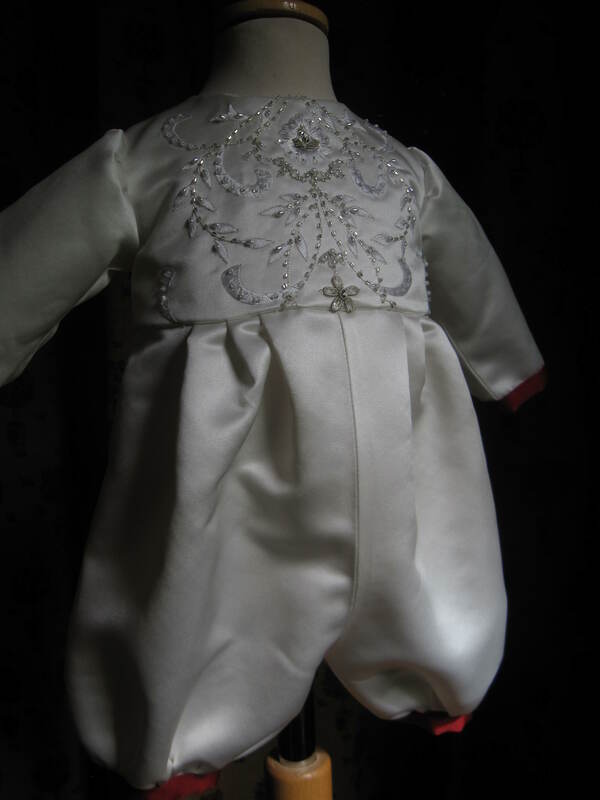 The original outfit was created from the mother's wedding dress, but we have plenty of appliqued fabrics and jacquared to chose from.